The Sorority urges all members to practice the principles of personal dignity, self-discipline, and dedication to social standards worthy of Sigma Sigma Sigma. Through education, training, and mature adult guidance, we provide the tools to help students make responsible choices, and to understand the consequences of their choices. The organization will hold chapters and individual chapter members accountable for the choices they make. The Sorority expects personal responsibility from its members and accountability through local accountability. Tri Sigma parnters with EverFi, whose mission is to help students address critical life skills such as alcohol abuse prevention, sexual assault prevention, hazing prevention and financial literacy in higher education institutions across the country. 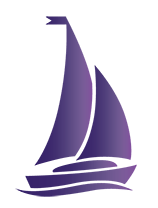 Tri Sigma requires all collegiate members and new members to complete an online program called GreekLifeEdu which includes information on alcohol use, hazing prevention, and sexual assault awareness. This online education will empower members to make well-informed decisions about issues that affect their college years and beyond. GreekLifeEdu Intro Video from EverFi on Vimeo. Safety and education of our members is part of our prevention philosophy and plan. We offer and participate in a number of things to ensure the safety of our members. 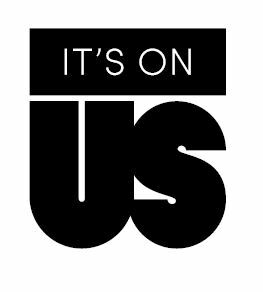 Sigma Sigma Sigma is a proud sponsor of the Its On Us national campaign to prevent sexual assault on campus. Through this partnership we sit on a national Council that will continue to develop resources and materials to help in the prevention of sexual assault and the overall health and safety of our members. Collegiate leaders who focus on harm reduction (Honor Council, Risk Managers, Social event planners, or Vice President of Operations) attend an annual Prevention Institute. The Prevention Institute is led by a team of trained volunteers called the SAFE Team. In addition to facilitating the Prevention Institute, these volunteers assist assigned chapters with event management and prevention planning for events with alcohol, and organize visits to local chapters to host a weekend-long harm reduction program. The goal is for each chapter to receive a proactive visit once a triennium. Sigma Sigma Sigma is a Diamond Level sponsor of HazingPrevention.org. HazingPrevention.org is a national organization dedicated to its mission of encouraging people to prevent hazing in college and university student groups. They provide education, develop resources and build partnerships with others who believe in the work we do. One of the many efforts includes Hazing Prevention Week. Tri Sigma is an active participant in Hazing Prevention Week, has a zero tolerance anti-hazing policy, and includes anti-hazing education in all annual new member, member, officer and advisor training. Zero tolerance means any Tri Sigma member found to be in violation of our hazing policy will immediately have her membership terminated. Tri Sigma is a sponsor of the Anti-Hazing Hotline, an anonymous hotline that anyone can use to report hazing. It is a toll-free number. We encourage all sisters, new members, parents, etc to call (888) NOT-HAZE or (888) 668-4293 if you have any concerns about hazing in your chapter. You may also complete an online form. If you would rather speak to someone who directly works with the chapter, please call our National Headquarters (540.459.4212) and ask to speak with the chapter’s Assistant Director of Chapter Services. It is our common practice to keep those who report concerns anonymous. It is helpful to know the callers name and phone number for follow-up questions. If you would rather email concerns, please send concerns and documentation to sigma@trisigma.org. Download a copy – Polices and Position Statements. Please note additional procedures are included in officer manuals or as part of our Social Event planning process.